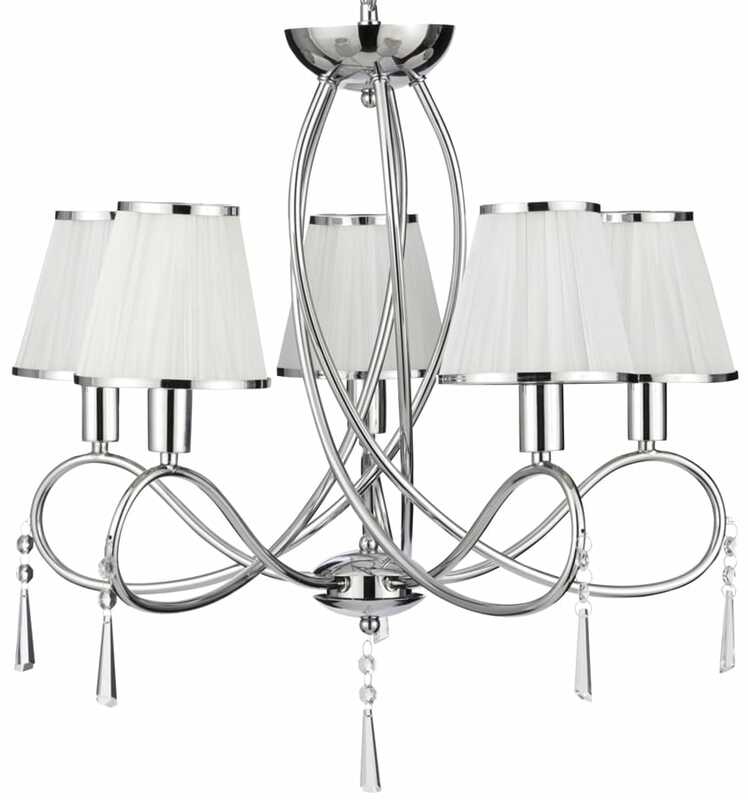 This Simplicity polished chrome 5 light chandelier with glass drops and white shades is contemporary stylish and graceful. Featuring a circular ceiling cup, chain link suspension and five looping arms fitted with white string shades and decorated with faceted glass drops. Ideal for an airy bedroom, living room, hallway or dining room. 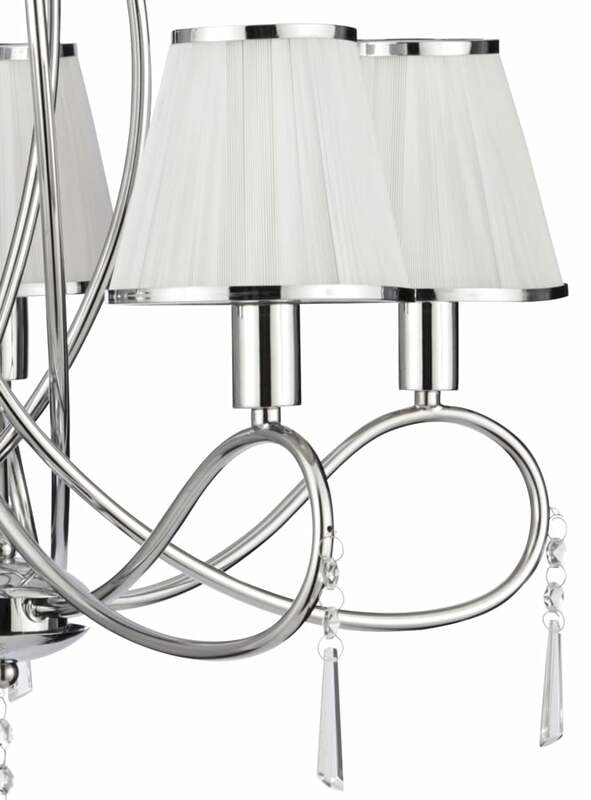 A contemporary take on a classic design, with elaborate curved hoop arms that spill out from the decorative central column The five simple white string shades feature matching trim and add elegance to the design and the delicate glass drops add a touch of sparkle. Height adjustable at time of installation by removing links to achieve the ideal drop, please see the technical information for measurements. There are matching fittings in the Simplicity lighting range that includes a switched twin wall light, three-light floor lamp and eight-light chandelier; please see below. 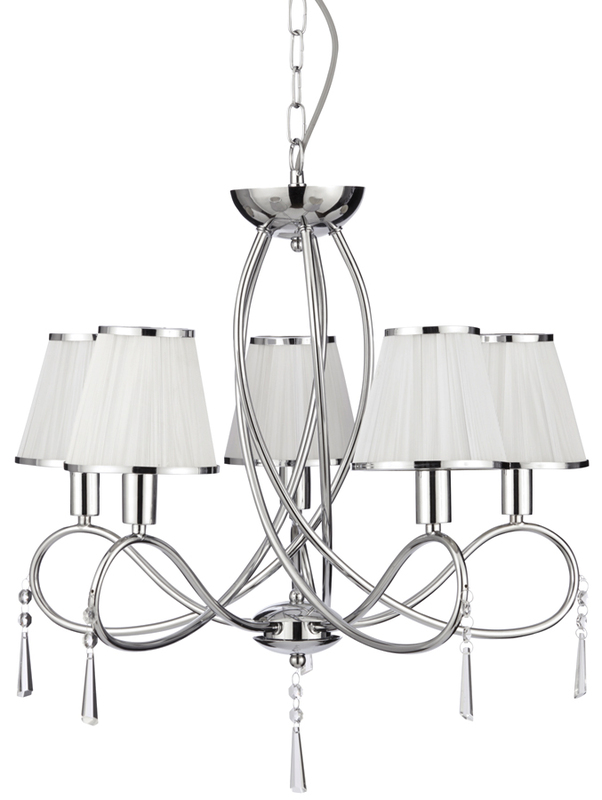 This stunning chandelier is supplied by Searchlight who manufacture some of the best traditional and modern classic designs such as the Simplicity polished chrome 5 light chandelier with glass drops and white shades you see here.